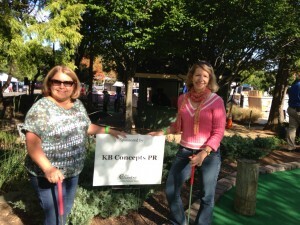 Doing Good and Community Service - KB Concepts P.R. As we regularly counsel our clients, KB Concepts strongly believes in giving back to the communities where we live, work and thrive. Inspired by our experiences, we truly believe that the more we give, the more we all receive — in actual business success as well as in strengthening the important community ties that bind and connect us to one another. Karen Bate is an active member of the Arlington Chamber of Commerce, and serves on the annual Gala Committee and membership drives. KB Concepts is honored to be a Chamber Best Business Award winner. We’ve also been thrilled to see local clients Ginny Wright of BBG Fitness, C.Lee Cawley of Simplify You, Alectrona LLC and Joe’s Place Pizza & Pasta win consecutive Best Business awards with KB Concepts help. Karen is a proud graduate and lifetime member of Leadership Arlington (Class of 2010, best there’s ever been!). Many KB Concepts clients have come through referrals from colleagues and friends in these two fantastic organizations. Karen is the founder and Chief Inspiration Officer of Awesome Women Entrepreneurs (AWE), a networking organization for women operating their own local businesses. 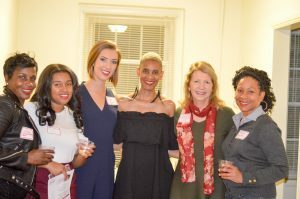 The group now has 200+ dynamic, engaged members in five chapters throughout the DC region who meet monthly to socialize, network, collaborate and hear from speakers on a variety of relevant topics. Karen co-hosts Awesome Women Entrepreneurs, a weekly program on 96.7 WERA FM and companion podcast on iTunes and Spotify, where she and AWE co-founder Evelyn Powers interview successful women business owners and the community leaders who support them. 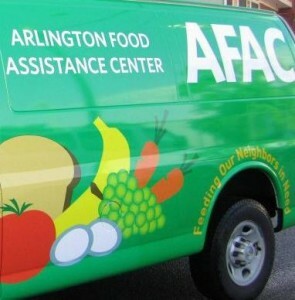 Karen served on the board of the Arlington Food Assistant Center from 2010 – 2016, and was pleased to support the team that rebranded AFAC with a new organizational logo, look and website. Team members Dora Muhammad, Mariela Echeverria, Antonio Villaronga and Catherine MacDonald also volunteer for and support a variety of local causes, organizations and events.